Pets are always like our family member. People love their pet like a child and they actually are so cute. But people hesitate to keep them home due to any innominate reasons. Although you will not ignore Nybble. Petoi, a company that aims to design pets for the future, has developed a Nybble. 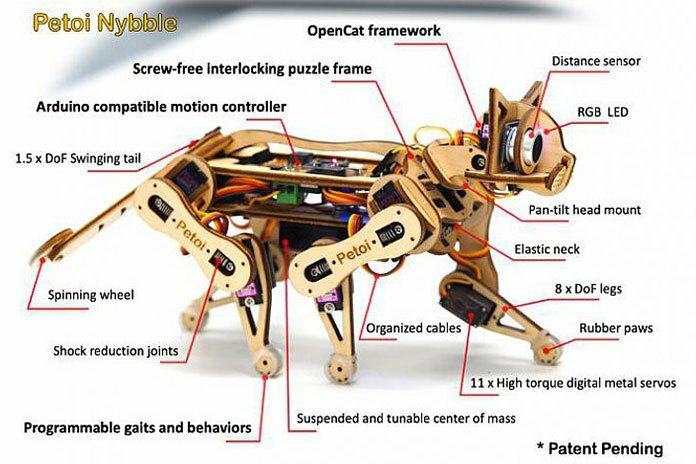 It is the world’s cutest open source robotic kitten. 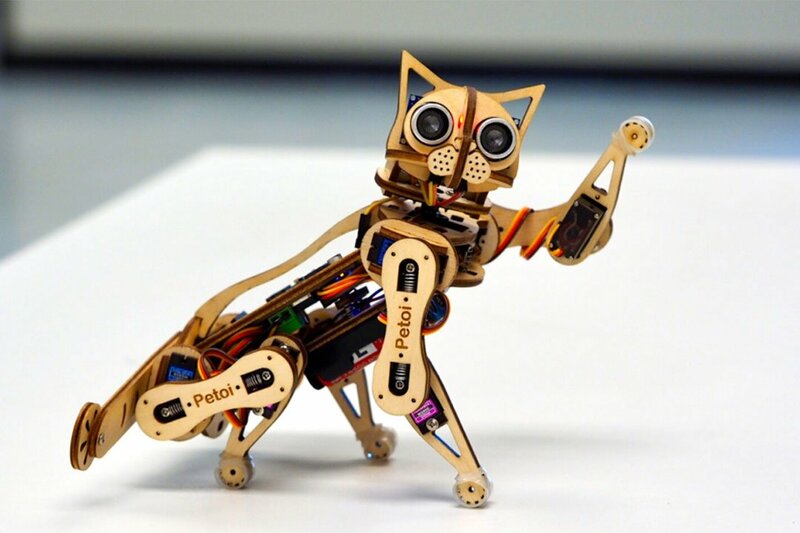 As per their words, this kitten is a robot that’s educational, programmable, engaging and cute. 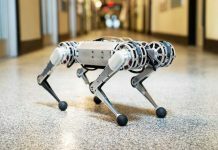 It is an advanced robotic kitten which is no less than a pet. Nybble is devised with a small computer, customizable software, a basic components kit and the enhancement you wish or can imagine. 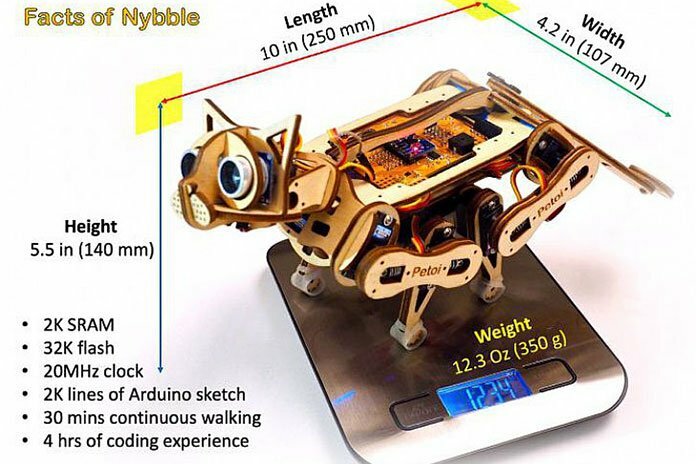 It is the lightest and fastest robotic cat that really walks. Since it is built on an open source platform, you can train your kitten as you want. You can “teach” tricks, behaviors, and CAT-itude as you program it and help it grow. You can even mount a Raspberry Pi to help Nybble think. Nybble’s motion is driven by an Arduino compatible microcontroller. It stores instinctive “muscle memory” to move around. An optional AI chip, for instance, Raspberry Pi can be fixed on top of its back. It will help Nybble with perception and decision. 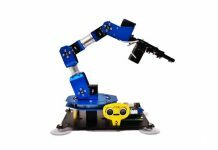 You can program robotic kitten in your favorite language. 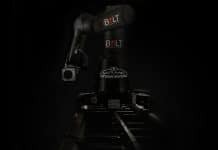 Also, you can direct it simply by sending short commands, such as “walk” or “turn left”. Nybble’s wooden frame is a retro design in honor of its popstick framed ancester. It is readily assemblable puzzle. The wisdom of traditional Chinese woodwork was adopted to make the major frame screw-free. After assembling it, some basic computer skills are essential to upload the code and tune Nybble to walking order. You merely will need to learn and teach Nybble new tricks and help it grow. It will learn things gradually. Everyone! If you like adorable cats, tiny computers, hackable software, and customizable models then this would be the best companion you can have. 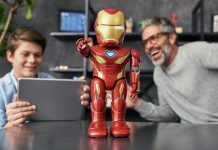 You can showcase your creativity with your cute robotic kitten. You can reprogram, paint, decorate and pose it in whatever way you want or imagine.